This workshop will involve a series of musical encounters between participants and performers in non-conventional performance spaces (such as a parking lot, an office building, a freeway flyover, and so on) in order to test their assumptions about what jazz is, where it happens, and why it matters. 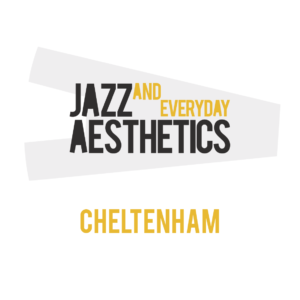 We will explore the communicative dimension of jazz performance and consider the different aesthetic issues that emerge between performers and audiences as they negotiate their assumptions and beliefs about the music. It will also take place within the context UNESCO International Jazz Day and will take into account the impact of the music’s global significance on its everyday occurrence. Making a radio programme brings with it a sense of the feel of that programme, its character, its purpose. Being asked to contribute to an audio tour for the Cheltenham Jazz Festival I had an immediate sense of the importance of walking and the part that rhythm plays within that and how the participants are bringing their own rhythms to Cheltenham, remembering too that walking might be exhilarating, or difficult, or painful, or simply taken for granted. I hoped that I could do something that would ask people whether they think that the festival is saturating them with jazz, or whether their own internal jazz is contributing to the festival. I also had a sense that, as well as being informative and interesting, the tour could be disruptive of thoughts, question assumptions, open up new horizons. My experience of the Cheltenham Festivals as broadcaster, writer, curator, speaker and audience member tells me that there are many layers to this rather wonderful town. In radio terms the different venues create the playlist. Their different characters help us to think about the part venues play both for audiences and musicians. Can we be our everyday selves in these spaces? Producer Alan Musson's been collecting and editing interviews with volunteers, musicians and programmers, so those are our soundbites, injecting other ideas and memories. 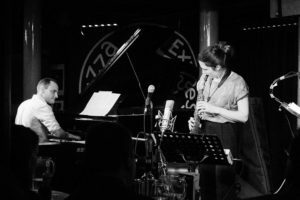 I've asked a couple of guests for thoughts on jazz within their notion of everyday, the producer and broadcaster Steve Urquhart and musician Sarah Nicolls, and I've included some prose and poetry to distract and disrupt. Gender, space, memory, sense of self: all are important here. And there's music too! I've been working on a BBC radio programme, which I'll describe as 'duetting' with Virginia Woolf, for the last 18 months. She used to walk across the Sussex Downs to feel the rhythm of her writing. I'm sure Cheltenham will unleash its own creativity during this audio tour. 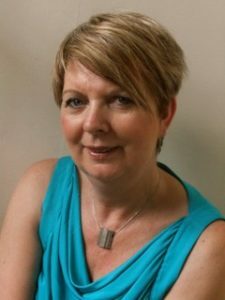 Fiona Talkington is best known as BBC Radio 3 presenter particularly as co-founder in 1999 of the Sony Award winning Late Junction. She has also curated many festivals and events particularly working with the Norwegian arts scene. In 2009, she was presented with the Royal Norwegian Order of Merit for her services to the Arts. She is editor of the English translation of Luca Vitali’s ‘The Sound of the North’. Trish Clowes has been described as “one of the most agile and original jugglers of improv and adventurous composition to have appeared in the UK in recent times” (John Fordham, the Guardian). A BASCA British Composer Award winner and former BBC Radio 3 New Generation Artist, Clowes has received critical acclaim for all four of her releases for Basho Records. The latest, My Iris, has been described as “musical wizardry”. Performances include Royal Festival Hall, London Jazz Festival, Wigmore Hall, Gateshead International Jazz Festival, Celtic Connections, Women in (e)motion Festival (Germany), broadcasts for BBC 2 Proms Extra, BBC Radio 3 and Radio Bremen, and appearances with BBC Concert Orchestra, BBC Scottish Symphony Orchestra and Royal Northern Sinfonia. Recent commissions include writing for the BBC Concert Orchestra (BBC Radio 3), London Sinfonietta and Onyx Brass. Ross Stanley has played with jazz names such as Eddie Gomez, Gary Smulyan, Seamus Blake, Will Vinson, Nigel Hitchcock, Dennis Rollins, Guy Barker, Ian Shaw, Jamie Cullum, Liane Carroll, Norma Winstone, Stan Sulzman, Steve Arguelles, John Paracelli, as well as being a regular member of the Hamish Stuart Band, Jim Mullen Organ Trio and the Jacqui Dankworth band and performing in many small and large ensembles – Nostalgia 77 Octet, The Heritage Orchestra. Ross has also worked with Tom Jones, Maceo Parker, Zigaboo Modeliste, Pino Palladino, Omar, Paloma Faith, Antonio Forcione, James Torme and toured with The Steve Howe Trio, Deodato and has recorded for Goldie, US3, Trevor Horn and Simply Red among others. Ross is a Hammond Endorsee.